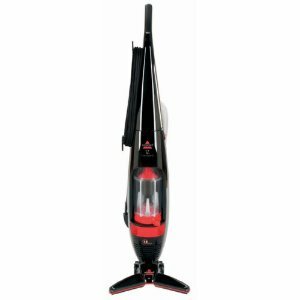 While Bissell may be more well known for their carpet steam cleaners, Bissell also provides a line of vacuum cleaners that are in contention for those consumers seeking out vacuums for their homes. 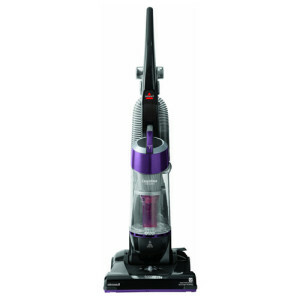 The Bissell CleanView Upright is Bissell’s top-rated and best selling vacuum cleaner. 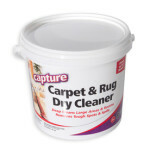 It’s a great option that gets the job done at a low price point. 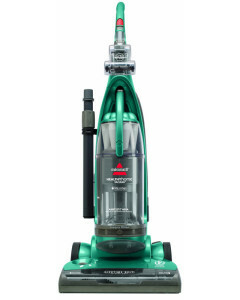 Value is the word that comes to mind with Bissell vacuum cleaners, and that’s exemplified the most in their top-rated, #1 best selling leader, the CleanView Upright Vacuum With OnePass. This vacuum retails for just under $100 and can often be found new for under $80, and any vacuum that inexpensive that does a quality job will be a top seller. One thing to note about Bissell vacuum cleaners is they are all bagless. 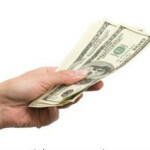 This is a positive for many consumers, though there are indeed customers out there who still prefer the bagged models. (If that is you, you may want to instead look at our Oreck vacuum cleaners page). 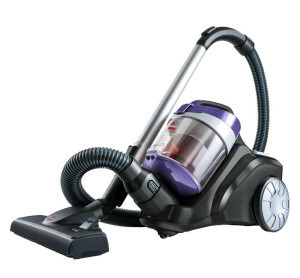 On the negative side of things, Bissell vacuum cleaners are all made without HEPA filters (with the one exception being their slightly older and heavier Healthy Home model), so if allergies are a problem in your home you may want to instead look at our page of the best upright vacuum cleaners to find the best models that do come with HEPA filters. However, if those factors are not deal breakers for you, read on as we review the best Bissell vacuum cleaners on the market today. 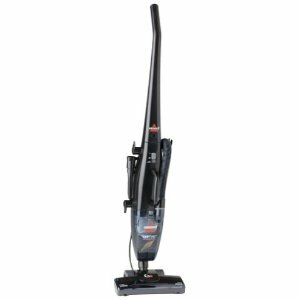 Bissell offers a wide variety of modern affordable vacuum cleaners, from standard uprights to lightweight sticks and even canister vacuums. Compare key statistics of their top-rated models in the comparison table below. 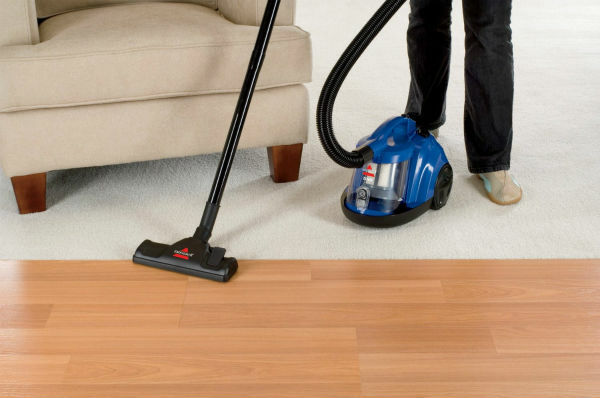 When you are looking for an upright vacuum for households that have allergy sufferers, the Healthy Home product line is Bissell’s best offering. With continuous suction power, multi cyclonic action and an airtight HEPA filtration system that collects 99.9% of the allergens, dust, molds, pollen, bacteria and dust mites, the Upright Bissell Healthy Home Bagless 16N5 has all the features you need. You get a special coating of the antimicrobial Microban to inhibit growth of these nuisances, a 15 inch cleaning path and 12 amps of power for cleaning carpet, upholstery, bare floors, stairs and your auto. It features a 30 foot cord, 2 rows of rotating brushes that can be controlled with an on/off switch and viewed through a clear window. You can find these Bissell vacuums for a little less than a couple hundred dollars, making them a good value all things considered. 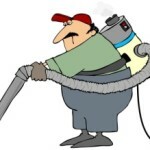 There are few complaints to be found on this model, other than the 22 pound weight is a little heavy for vacuums today. With that said, for those consumers who are not interested in the lighter-weight and more modern vacuum machines, it’s a tried and true option. 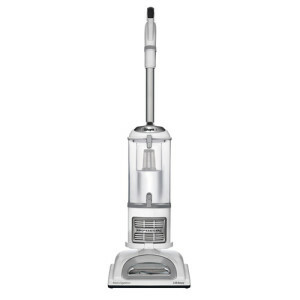 The Bissell Healthy Home Upright Vacuum Cleaner 16N5 is priced at just under $200. When you are looking for a canister that is powerful and offers convenience for cleaning your entire home, the Opticlean Canister Vacuum offers cyclonic cleaning for multi-surfaces and features bagless technology. With a 2-year limited warranty (upgraded from the 1-year warranties offered on the previous OptiClean 66T61 models) and a price around a hundred dollars, it is affordable and lightweight at under 12 pounds. 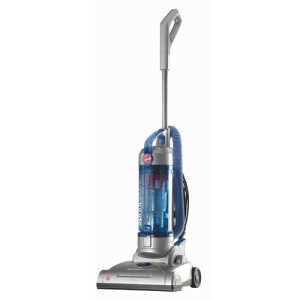 When you are searching for multi-purpose Bissell vacuums, this model is capable of cleaning carpet, bare floors and stairs with a rotating brush system, an automatic retractable 16 foot power cord, variable suction control, and it even features wheels for added maneuverability and easier outdoor use. About the only complaint on this model is that the cord could be a bit longer, but overall, it is a good machine to handle the majority of general house-cleaning jobs. When it comes to vacuums designed for pet owners, Bissell offers a couple of options. One of the best is this PowerGlide Pet Bagless Upright with Lift-Off Technology. If you have a pet, you already know how difficult it can be to suction up the hair. But with the PowerGlide Pet you get powerful suction, and two useful on-board tools: a contour tool to remove hair in tight places and a Pet TurboEraser tool with bristles that attract pet hair like a magnet. 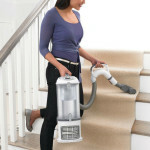 The Lift-Off Technology allows you to actually lift off the canister and take your vacuum cleaner around in a more portable way, making cleaning the hair up off the stairs an easier task. 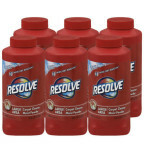 Ever since the Bissells founded their company in 1876, the focus has been on an improved way to get your house cleaner. The original Bissell vacuum cleaners were designed to clean up the sawdust in their crockery shop, but as the popularity of the carpet sweepers increased, they realized that crockery wasn’t the business they should focus on. While Melville Bissell passed away in the earlier years of Bissell, Anna Bissell continued to come up with innovative new features to make Bissell vacuums better than other models there were to choose from. 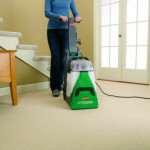 Today, there is a full-line of Bissell products that are designed for all types of cleaning, from carpet steam cleaners to spot cleaners and vacuums. 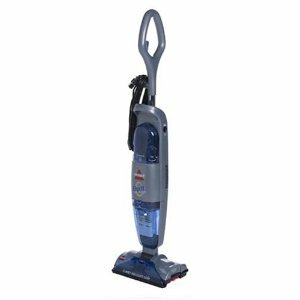 We review the features and performance of the Bissell PowerForce Vacuum, a popular budget-friendly upright model. 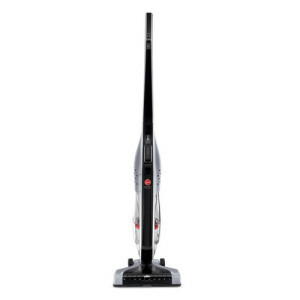 Bissell stick vacuum cleaners are lightweight Bissell machines designed for quick home cleaning jobs. We review three of the 3106A, the 76T8, and 31063 models. We review two models of the Bissell Flip It to compare their features and performance for household use. 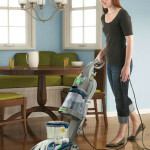 The Bissell Easy Vac is an inexpensive and lightweight vacuum cleaner. We take a look into the features and performance of the 3108 and 3130 models in this series. 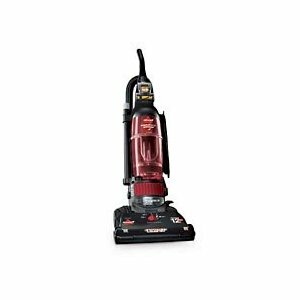 When you are searching for an affordable bagless cleaning machine, Bissell vacuum cleaners offer a variety of products to select from. 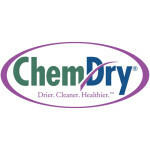 Consumers love the specific models for their function in particular cleaning situations, and the reputation of the company means your warranty offers peace of mind and low maintenance costs. For those that are searching for an industry leader, Bissell vacuums offers the cleaning advantage you are looking for with cyclonic suction power, no matter which model you select. 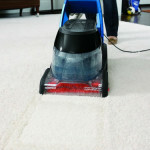 They do not use HEPA filtration in their newer vacuums, but they do use their own multi-level filtration technology. 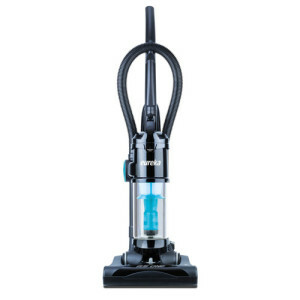 Each model, from the Bissell upright vacuums to the canister types, are all within the lower price range in comparison to other brands, making Bissell vacuum cleaners popular for households on a budget.